Australia is officially known as the Commonwealth of Australia. It is the sixth-largest country in the world and is located between the South Pacific, Indian, and Southern Oceans; minor bodies of water that border the country are the Coral Sea, the Timor Sea, the Arafura Sea, and the Tasman Sea. It is neighbored by other islands countries: New Zealand, Indonesia, East Timor, Papua New Guinea, the Solomon Islands and Vanuatu. Together with about a dozen other states, Australia makes up the continent of Oceania. Australia itself consists of the main Australian continent, Tasmania and numerous other islands. The country is made up of six states – New South Wales, Victoria; Queensland, Western Australia; South Australia and Tasmania – and two mainland territories – Australian Capital Territory and Northern Territory. Other Australian territories include Christmas Island, the Coral Sea Islands; the Australian Antarctic Territory, the Cocos Islands and a few others. Famous and ecologically important islands such as Norfolk Island, Macquarie Island and Lord Howe Island are either administered by their own local government or by specific states. Australia is one of the most urbanized countries in the world with about 90% of its population living in large, coastal cities, such as Sydney, Melbourne, Perth and Brisbane. It is also one of the wealthiest countries in the world; it has the 12th-largest economy and the 5th-largest income per capita. The country ranks highly in all human development lists, which include health, education, quality of life, political and civil rights, and economic freedom. Additionally, Australia is home to literally hundreds of national parks. Archaeological findings suggest that Australia has been inhabited for more than 50,000 years. The first settlers arrived in waves during the last Ice Age from the islands in Southeast Asia. Sea levels were much lower during that Ice Age, resulting in land bridges and short sea crossings. These first settlers were the ancestors of the present-day Aborigines. Australia remained unknown to Europeans until the beginning of the 17th century when Dutch traders bumped into the west coast. The first recorded landing by Europeans is attributed to Willem Janszoon who did so in 1606. The Dutch explored the west coast further, but classified it as extremely unfavorable. They weren’t interested and Australia – or New Holland as it was then called – became a way marker to the much more lucrative East Indies – present-day Indonesia – to the north. Exploration of the Australian coast was slowly taken over by the British and the French, which is the reason the names of coastal features are a mix of French, English, Dutch and Aboriginal languages. The next big expedition took place in 1770 and was led by the famous explorer, Captain James Cook. This expedition explored and chartered the east coast and landed in Botany Bay. It was there he officially claimed the region for Great Britain. He named the newly acquired lands New South Wales. A French expedition arrived only a few days later, too late. After Great Britain lost all of its American colonies, its government sent a fleet of ship to Australia, the “First Fleet”, to find a new penal colony. Commanded by Captain Arthur Phillip, they arrived on January 26 1788 at Sydney Cove. That day is now Australia Day. The arrival of the “First Fleet” was also the beginning of Sydney. New colonies were established in the following decades in Tasmania in 1803 and in Western Australia in 1828. Parts of New South Wales became South Australia in 1836, Victoria in 1851 and Queensland in 1859. The Northern Territory was separated from South Australia in 1911. While the population of the colonies grew, the indigenous population decreased dramatically. Australia was founded as a penal colony, but the majority of settlers after 1788 were free people. Most of them came from Great Britain and Ireland; small numbers hailed from other European countries. Convict settlements were found mostly along the east coast, with some smaller ones on the west coast. Penal transportation ended in 1868 after bringing 160,000 convicts to Australia. When gold was discovered in New South Wales and Victoria in 1851, a new wave of immigration began. Boatloads of Chinese and Southeast Asians arrived, as well as businessmen, entertainers, prostitutes and liquor producers. The colonies of Australia became an independent federation on January 1 1901; New Zealand opted out and became a separate country. Nowadays, Australia is home to more than 200 nationalities. Australia is both the six-largest country and the smallest continent on Earth, comparable in size to the contiguous United States. It has a landmass of just under 3 million square miles. It is sometimes referred to as an island continent and the world’s largest island. 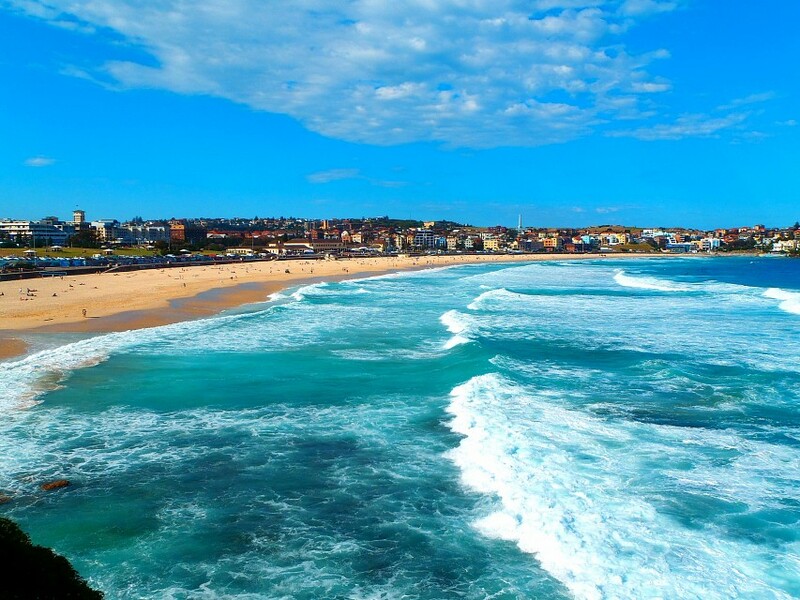 Surrounded by the Pacific Ocean to the east, the Indian Ocean to the west and the Southern Ocean to the south, Australia has no less than 21,000 miles of coastline. Most of the population is concentrated on the (south)east coast of the country. About 80% of all Australian live within 30 miles from the coast. Victoria and New South Wales, respectively home to the metropolises of Melbourne and Sydney, two cities that hold nearly half of the country’s population, are by far the most populated states. The largest state is Western Australia, no other states comes even close. It is so large that Perth is sometimes considered to be the most remote capital city on Earth – it competes for that title with Honolulu. Because of its sheer size, Australia is home to a huge variety of landscapes, vegetation types and climates. The northeast is known for its ancient tropical forests; the southeast and southwest have mountain ranges and farmlands; and the vast inner regions consist of scorching deserts. Australia is the flattest, oldest, and driest – the average annual rainfall isn’t more than 600mm – of all continents. The northern states generally experience warm weather all year-round, while the southern states have warm summers and relatively cool winters. Most of the country gets 3,000 hours of sunshine or more per year. Winter in Australia is from June through August; summer is from December through February. There is an absolutely overwhelming amount of things to see and do in Australia. The following list features all major destinations. 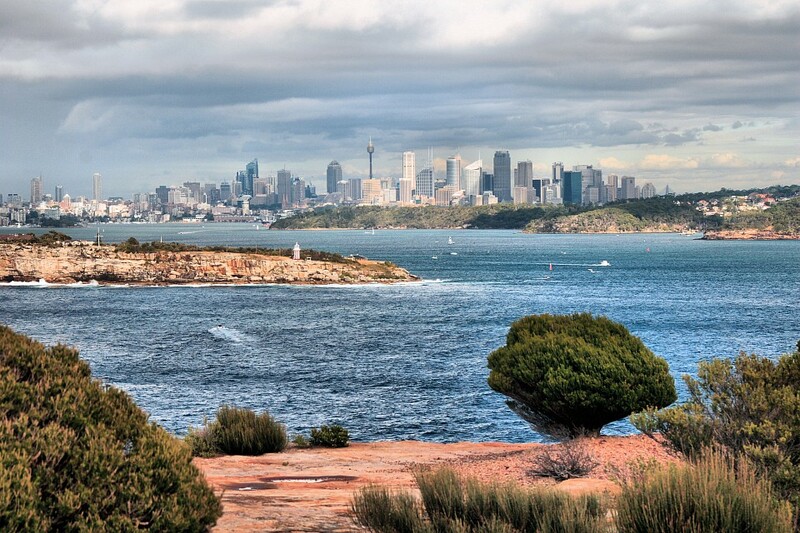 Australia’s most populous and multicultural city, Sydney sits boldly at Sydney Harbor. The city is world-famous for its iconic Sydney Harbour Bridge and the Sydney Opera House. 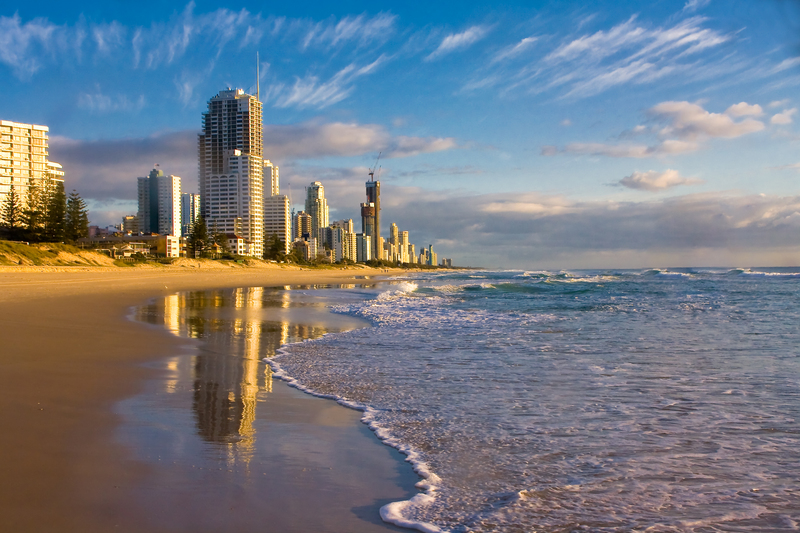 Located on the southeast coast of Australia, it was settled by the British as a penal colony and has since grown into a sophisticated and elegant city, visited annually by millions of people. Besides those two major landmarks, The Rocks, Darling Harbour; Bondi Beach, Taronga Zoo and the Royal Botanic Gardens Sydney are absolutely worth visiting as well. 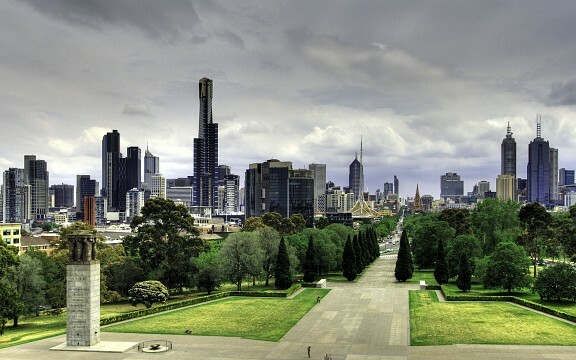 Melbourne is Australia’s capital of culture, sports, and cuisine. The city has several renowned art galleries, museums, and theaters and a thriving street art scene; it is also well-known for its food, thanks to its multicultural population. Melbourne is the location of several major sporting events and the birthplace of the Australian movie industry, the Australian television industry, and Australian impressionist art. The city is intersected by the beautiful Yarra River on the banks of which lie beautiful parks and gardens. Because of its combination of green spaces, food, sports, and culture, Melbourne nearly always ranks as one of the most livable cities in the world. Highlights are Melbourne Cricket Ground, Queen Victoria Market; Arts Centre Melbourne, the National Gallery of Victoria; Federation Square and the Flinders Street Railway Station. Perth is one of the sunniest capital cities in the world. Located on the banks of the gorgeous Swan River, it is home to magnificent parks, a vibrant nightlife and several excellent museums. Attractions that are worth visiting are Kings Park, Fremantle, the Western Australian Museum, Rottnest island and Perth Zoo. The Great Barrier Reef’s figures are mind-blowing – covering 132,974 square miles, it houses 3,000 individual coral reefs and 600 islands, together with 1,500 fish species, and is the only living organism that can be seen from space. One of the 7 Natural Wonders of the World, it is located in the warm waters of the Coral Sea off the coast of Queensland. Extending 1,429 miles from Bundaberg in the south to the most northern tip of Queensland, it is the world’s largest coral reef ecosystem with 70 bioregions and an astounding biodiversity. Uluru is one of Australia’s most iconic symbols. Also known as ‘Ayers Rock’, this huge sandstone rock formation rises up out of nowhere from the desert in the Red Center, the vast desert plains in Central Australia. It is located in the south of the Uluṟu-Kata Tjuṯa National Park in the Northern Territory, about 280 miles southwest of Alice Springs. The huge rock is easily one of the most recognizable landmarks in Australia. 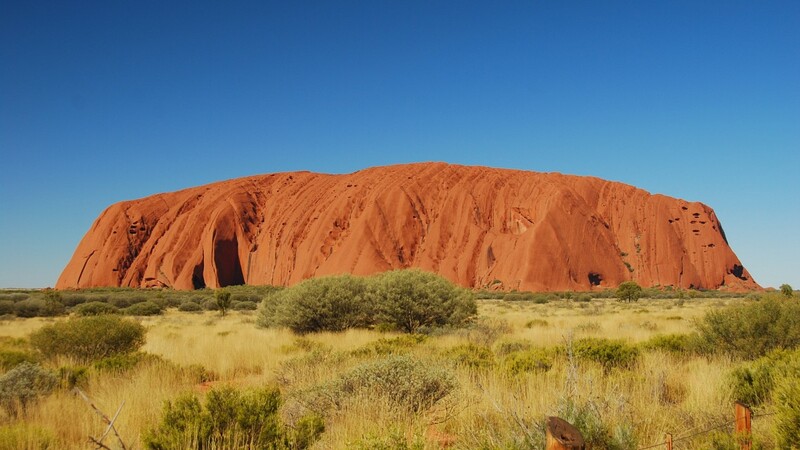 The top of Uluru is 2,831 feet above sea level, while the visible part of the rock is 1,141 feet high. However, most of its bulk lies beneath ground level. The total circumference above ground is 5.8 miles. Uluru is without question the most famous monolith, a huge lone-standing rock, in the world. 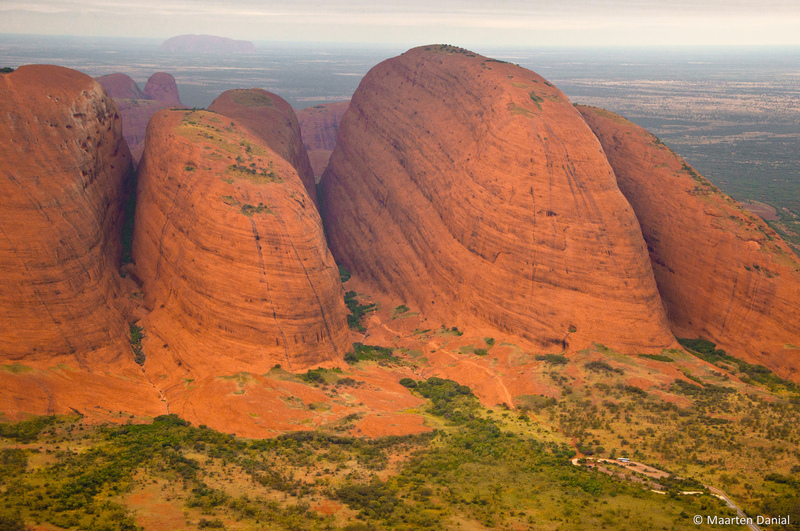 Both Uluru and nearby Kata Tjuta are of great significance to the local Anangu people and are the major features of Uluru-Kata Tjuta National Park. There are ancient Aboriginal rock paintings on Uluru and the area’s cultural, historical, and religious importance cannot be overestimated. Tasmania, the island state located off the southeast coast of mainland Australia, is covered with ancient wilderness areas. The inland Tasmanian wilderness is of such significance that it is a whole UNESCO World Heritage Site. 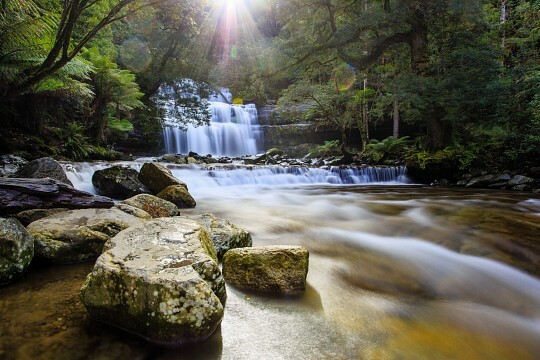 This region consists of rugged mountain ranges, wild rivers and glacial lakes, as well as a few majestic national parks – Franklin-Gordon Wild Rivers National Park, Cradle Mountain-Lake St Clair National Park, Walls of Jerusalem National Park and Mount Field National Park. Other major highlights in Tasmania are its capital Hobart, Freycinet National Park and the Bay of Fires. The magnificent Great Ocean Road runs for almost 155 miles along the Victoria coast. This road is one of the very best road journeys on the planet. Although not that long, there is a lot to see and do along the way and it is recommended to allow several days to explore. 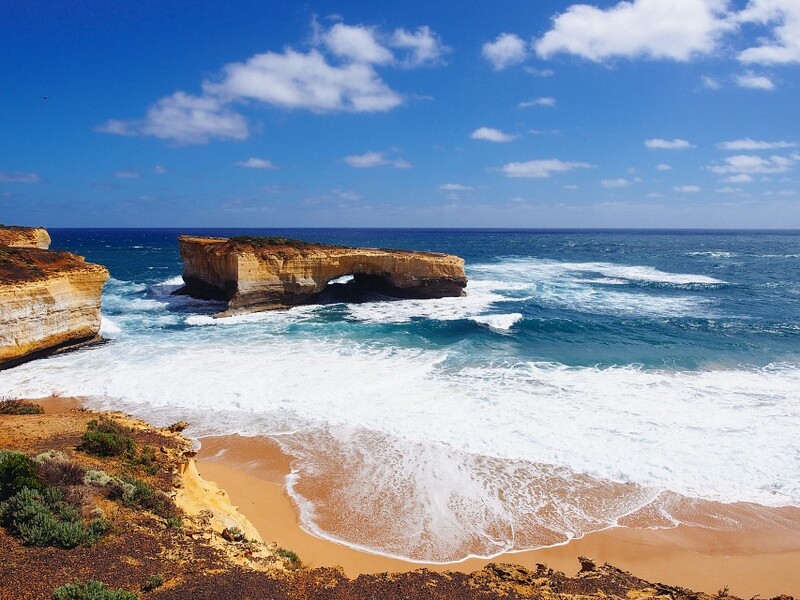 The road basically follows the coastline of southwestern Victoria and sweeps past great surfing beaches, lush eucalypt rainforests, and impressive coastal cliffs. It runs through a wide variety of landscapes. 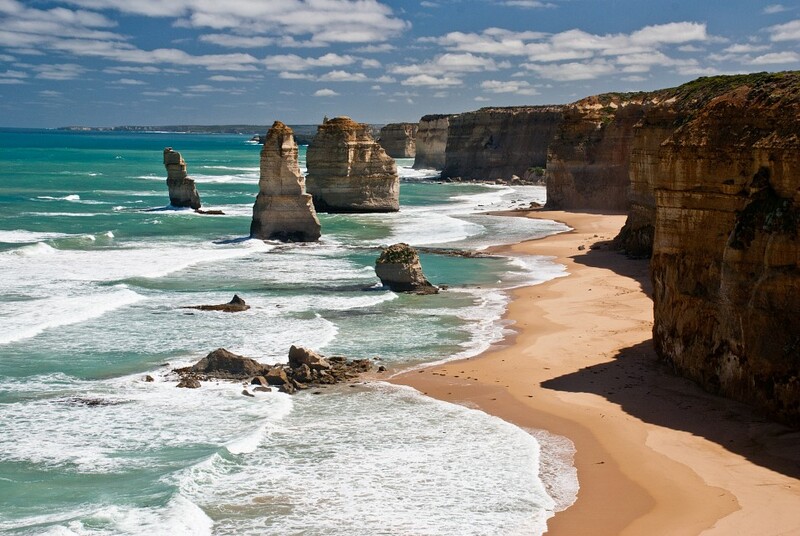 The Great Ocean Road is one of Australia’s major tourist destinations and attractions. The Great Ocean Road can roughly be divided into two sections. The section from Torquay to Cape Otway in Great Otway National Park is known as the ‘Surf Coast’, because of its fantastic surf and wonderful beaches, while the next section, between Cape Otway and Warrnambool, is called the ‘Shipwreck Coast’. The Shipwreck Coast’s name is obvious when seeing the number of rock stack and pillars rising up out of the Southern Ocean. This is where one of the most iconic sights in all of Australia is located; The Twelve Apostles. 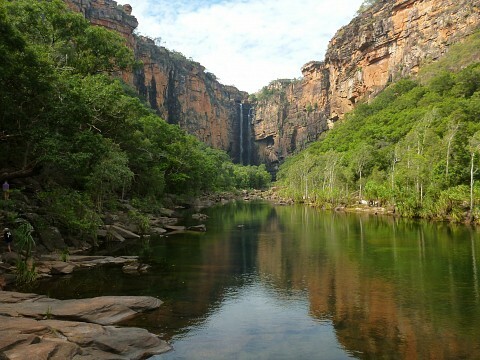 Kakadu National Park is another UNESCO World Heritage Site. This one is located south of Darwin in the Northern Territory and is the biggest national park in Australia. It extends from the rocky and stony inland plateaus and ridges in the south through billabongs, floodplains, and valleys to the coastal wetlands in the north. The southern hills and cliffs are made of ancient volcanic rocks and sandstone. This is a region that consists of rivers and waterfalls. The park’s lowlands and floodplains make up about 80% of the surface area. They are covered in woodlands and forests. The northern areas consist of estuaries, wetlands, and tidal flats, providing a year-round refuge for water birds. Animal life includes about 10,000 crocodiles, kangaroos, flying foxes, etcetera. The Kimberley makes up the northwest corner of Australia. It is a truly vast region, a long way from anywhere, that consists of rugged gorges, great rivers and waterfalls, epic rock formations and secluded coasts. Major highlights in this wild region are the town of Broome, Purnululu National Park, the Dampier Peninsula, the Gibb River Road and the Buccaneer Archipelago. Considered the largest sand island in the world, Fraser Island lies off the east coast within the state of Queensland. It is elongated north to south and home to immense sand dunes, lush rainforests, mangrove swamps, and eucalyptus woodlands. Fraser Island is a popular multi-day trip; these trips include 4WD tours, swimming in ponds and lakes and barbecues. 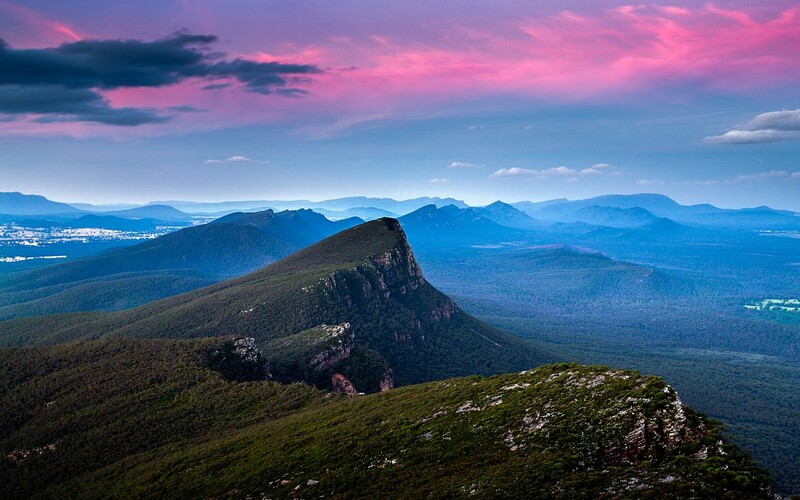 The vast expanse of the Blue Mountains lies only a one-to-two-hour drive west of Sydney. It covers an area of approximately one million hectares of ancient wilderness. That enormous wilderness consists mostly of temperate eucalyptus forest, covering the mountain ranges as far as the eye can see. 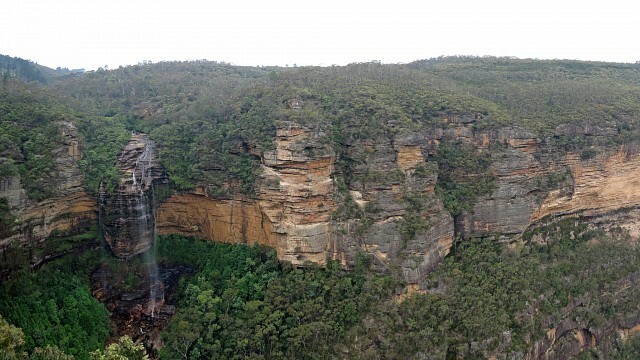 The Blue Mountains National Park is probably the most well-known and visited place, but it is only a small part of the much larger Greater Blue Mountains World Heritage Site, which comprises a conservation reserve and seven national parks. 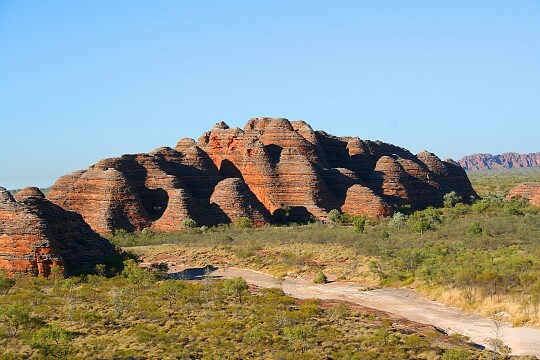 Its exceptional geography and vegetation, as well as cultural value – there are several ancient Aboriginal sites – are the reasons why the region was included in the World Heritage List in 2000. It is now a popular destination among tourists and Australians alike. Various outdoor activities can be done, such as bushwalking on 87 miles of hiking trails, horseback riding, camping, and rock climbing. Not-so-active visitors can enjoy the spectacular landscapes from several scenic lookouts. 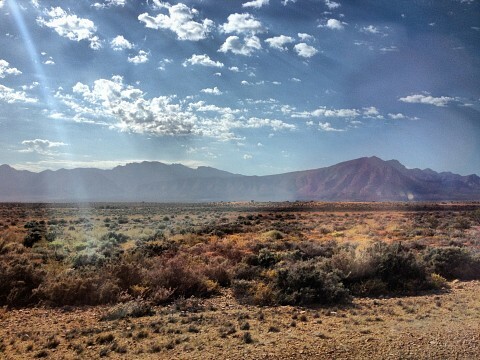 The spectacular Flinders Ranges National Park is situated in the South Australian Outback north of Adelaide. The national park is a part of the Flinders Ranges, the largest mountain range in South Australia. The heart of the Flinders Ranges National Park is the iconic Wilpena Pound, a large, natural amphitheater. The highest peak in the Flinders Ranges, St Mary’s Peak, is located at the edge of Wilpena Pound. Consisting of canyons, gorges, rugged mountain ranges and hidden creeks, this is a true and wild Australian Outback landscape. As uninviting as this semi-arid environment may be, there is an abundance of wildlife. Most plant species are adapted to a dry climate, such as river red gums, cypress-pines and black oaks. Animal life includes high-profile mammals such as Dingoes, red and grey Kangaroos, Wallabies, and Echidnas, as well huge numbers of bird species. 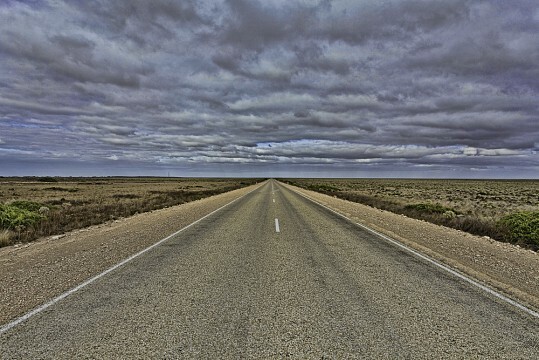 The immense Nullarbor Plain is an area of virtually flat, treeless plains in South Central Australia. It is located between the Great Victoria Desert in the north and the Great Australian Bight in the south. Nullarbor is Latin and means ‘no trees’ (nullus arbor). Covering an enormous area of 104,250 square miles, the plain is officially the largest single piece of limestone in the world. Its limestone karst landscape extends for about 745 miles between Ceduna in South Australia and Norseman in Western Australia. A part of the Nullarbor Plain is protected by Nullarbor National Park. Australia’s easternmost town, Byron Bay is all about world-class surfing, lush rainforests, fancy retreats and fine dining. It is home to some of the country’s best surf beaches, while the surrounding forests offers great hiking opportunities. 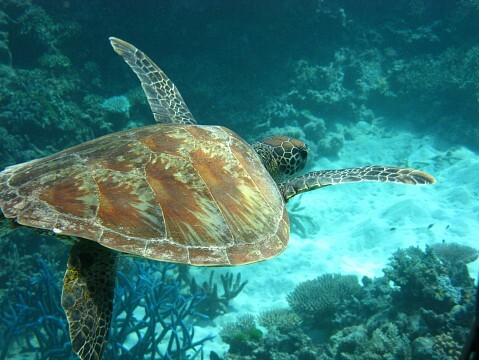 Yet another World Heritage Site, Ningaloo Marine Park is located about halfway up the west coast of Western Australia. It is 186 miles long, ten nautical miles wide and with a surface area of more than 1,931 square miles, it is Australia’s largest fringing reef. It is also the most accessible reef in Australia, making it a hugely popular destination among people who visit the west coast. It is so accessible that it doesn’t take much more than just stepping into the water from one of the white beaches. More than 500 species of tropical fish live in the reef, among more than 200 coral species. Ningaloo Reef is also home to dugongs, dolphins, sharks, humpback whales, turtles, manta rays and – the park’s major attraction – whale sharks. Every year from April to July enormous whale sharks migrate through the area. Daintree National Park is a national park in the far northeast of Queensland. The dense jungle of the ancient Daintree Rainforest is a part of the protected Australian Wet Tropics environment. It is the oldest virgin rainforest on Earth and one of the world’s oldest surviving ecosystems. The immense, natural significance of the area is the reason it is listed as a UNESCO World Heritage Site. It is a truly spectacular area where ‘the rainforest meets the reef’; lush green rainforest is separated from the blue ocean by a line of white sand. The Great Barrier Reef lies at its doorstep. It is a truly unique area in the sense that two UNESCO World Heritage Sites touch each other there: the Wet Tropics and Great Barrier Reef. Modern Australia is a country of immigrants. Nowadays one out of four Australians was born in a foreign country; another quarter has at least one parent that was born abroad. 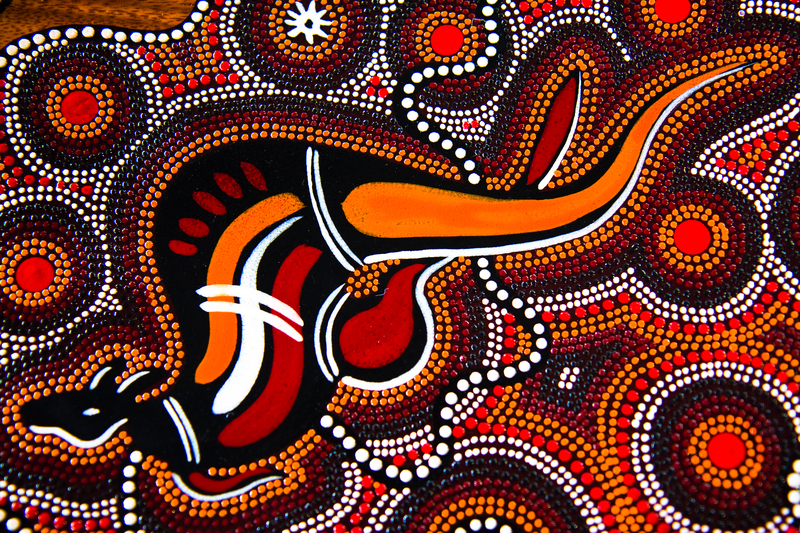 Therefore, Australian culture is an eclectic mix is virtually every culture in the world, including, of course, the cultures of the Indigenous Australians. Particularly the cities of Sydney, Melbourne and Brisbane are well-known for their multicultural population. Of the approximately 23 million Australian, 36% consider themselves of English ancestry, 35% of Australian; 10% of Irish, 9% of Scottish; 5% of Italian, 4.5% of German; 4% of Chinese, 2% of Indian; 2% of Greek and another 2% of Dutch. It is interesting to know that although English is considered to be Australia’s national language, it does not, in fact, have an official language. Australian English is easily recognizable by its distinct accent and the use of abbreviations ending with ‘o’ or ‘ie’ and particular sayings. As a secular country, there is no official state religion either. Because of their multicultural backgrounds, there is a complete freedom of religion. 61% of Australians are Christian, 22% are not religious, 2.5% are Buddhist, 2.2% are Muslim, 1.3% are Hindu and 0.5% are Jewish. Australian culture is famous for being extremely laid back and open. The saying “no worries” could be considered to be the national motto. Australians will always say hello and try to help you whenever they can. They live an outdoor life that involves surfing, barbecues, time on the beach and celebrating festivals. They are obsessed with sports as well. Australia is one of the world’s wealthiest countries. In 2013 it ranked second in terms of average wealth, after Switzerland. The economic system is Western-style capitalist. Most of Australia’s GDP is brought in by the service industries, including education, tourism and finance. Tourism is by far the most important service industry in the country, contributing more than $70 billion AUD annually. Most of Australia’s export products come from primary industries, such as mining and agriculture. Australia uses its own currency, the Australian dollar (AUD). Australia is a sports-mad country and many major events have at least sometimes to do with sports. 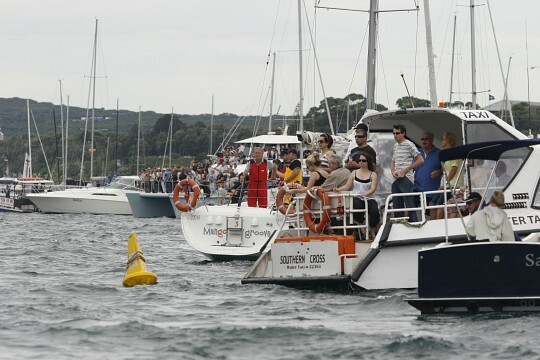 Examples are the Sydney to Hobart Yacht Race, the finals of Aussie Rules Football (Australia’s own football game), the Australian Open Tennis Championships, the Melbourne Cup and Australian Formula One Grand Prix. Note that those four last events all take place in Melbourne. Australian national holidays are January 1 (world-famous for the fireworks over Sydney Barbour), January 26 (Australia Day); Easter Weekend, April 25 (ANZAC Day); Second Monday of June (Queen’s Birthday), December 25 (Christmas) and December 26 (Boxing Day). 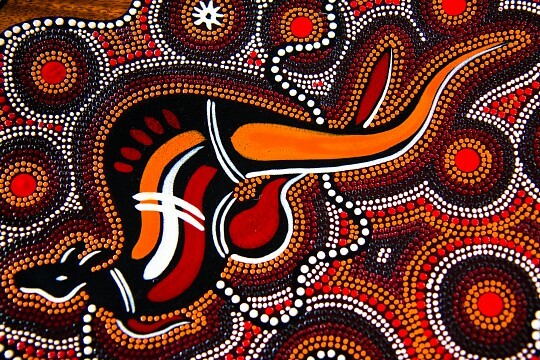 Australia does not have a typical cuisine, mainly due to the influence of people from all over the world. However, British food was introduced by the first settlers and could now be regarded as typical Australian food. Besides British food, literally every single world cuisine can be found in Australia. A meal that consists of native Australian food eaten by the indigenous population, such as berries, roots, insects, nuts and son, is known as “bush tucker”. The only native Australian plant that is grown for commercial purposes is the macadamia nut. 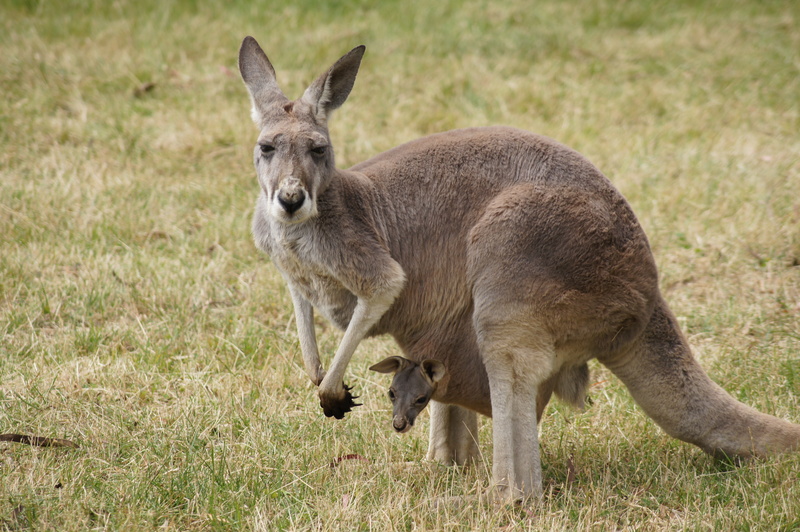 Typical Australian meat includes kangaroo, crocodile and emu, available as steaks and burgers. Australia is one of the major wine producing regions in the world. 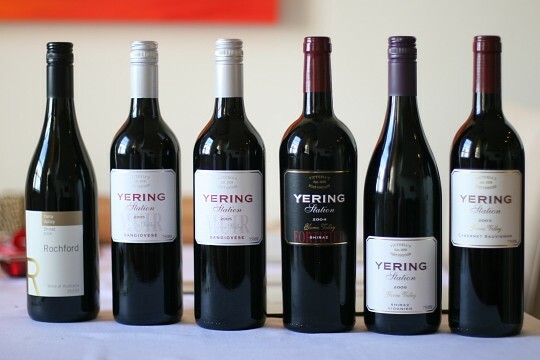 Its award-winning wineries cover about 160,000 hectares. Beer is also rooted into the Australian culture; sports games and barbecues require the consummation of at least a couple of beers. Because of its enormity and sparse population, it is possible to travel around and across Australia and not see another human or house for hours. The network of highways and minor roads is generally excellent and cars are a much-used type of transportation. Highway 1 (the Princes Highway) loops around the entire country and connects all mainland capital cities. Even though it is a major highway, the traffic is so scarce in many sections that more often than not, it consists of only two lanes. Densely-populated areas have an extensive network of roads, but the further away from the urban centers, the fewer roads there are. Remote areas may not even have sealed roads, but only dirt roads. It is essential to carry a proper map and have spare fuel and water when driving long distances in Australia. Keep in mind that people drive on the left side of the road, distances are in kilometers and fuel is sold per liter. All larger cities have rental car companies. Although most railways are used mainly for freight transportation, there are some epic railway journeys that can be done in Australia. The Ghan travels the 1,800 miles between Adelaide and Darwin via Alice Springs and runs through the heart of the Red Center. 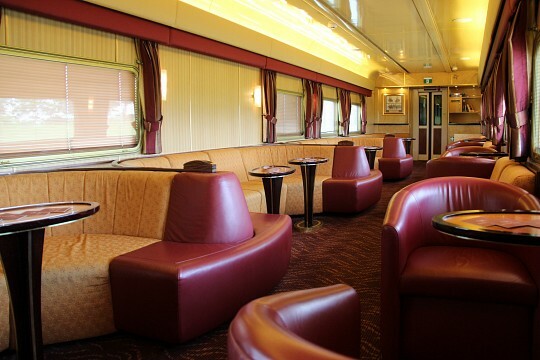 A second great journey runs for 2,700 miles from Sydney to Perth on the Indian-Pacific. This is one of the world’s only real transcontinental trains. It also includes the world’s longest straight track of railroad, running perfectly straight for 297 miles through the vast Nullarbor Plain. Many towns and cities, particularly in the southeast, are connected by railroad as well, but it is important to know that this is a slow and rather expensive way of getting around. Because of the enormous distance, flying is a conveniently fast way of getting around. On the east coast, for instance, the number of daily flights is so high that it compares to a bus service. Cross-country flights are available in huge numbers as well. Major airlines that fly across Australia and link the larger cities are Qantas, Jetstar, Virgin Australia and Tiger Airways Australia. There are several regional airlines as well, serving states and regions. Examples are Qantaslink, Skywest, Regional Express, Sharp Airlines and Skytrans Airlines. Another excellent and cheap way to get around is by bus. The largest bus company in Australia is Greyhound, which travels all over the country. As all capital cities are located on or near a coast, ferries are a popular transportation method as well. The islands in the Great Barrier Reef are served by ferries; Tasmania can be reached from Melbourne on the Spirit of Tasmania. In terms of crime, Australia is a very safe country to travel to and around in. The dangers in Australia lie in the distances, weather and wildlife. Because of generally hot weather and the vast distances between places, it is vital to take regular breaks while driving. Accidents caused by drowsy drivers occur on a daily basis. Also be extra cautious when driving around dusk or dawn, as that is when most wildlife tends to roam. Fatal car crashes involving wildlife are common. And again, make sure to carry sufficient water and fuel, especially when heading into remote country. Although Australia’s beaches may seem paradise-like, and often they are, beach-goers should always keep in mind that rip tides can occur. These rip tides are invisible channels of water that flow away from the beach. Try to go swim, snorkel or surf in patrolled areas. Natural disasters happen in Australia on a regular basis. While the north is visited by tropical cyclones each year that can cause massive floods, the inland and southern regions are prone to massive wildfires. The combination of vegetation, dry soil, hot temperatures and the presence of humans make it a region of extreme fire risk in summer. Be aware, watch signs and listen to the radio. Another something to be wary of are the Australian animals. The country is home to many of the deadliest creatures on Earth. Although tourists will not encounter those in the cities, when heading out into the wild it is important to know that they are there. There are venomous spiders, snakes, jellyfish, octopus, as well as saltwater crocodiles and sharks. Chances are low that those animals are spotted though, let alone that they bite, but it does happen. If something should happen, the emergency number 000 can be dialed for free from any telephone.